The scheme is for people working in international development or the third sector/civil society. You should be involved in managing projects or seeking to become a project manager. Being mentored enables you to learn from another person’s vision, experience, and learning, and get professional guidance on the challenges you encounter. 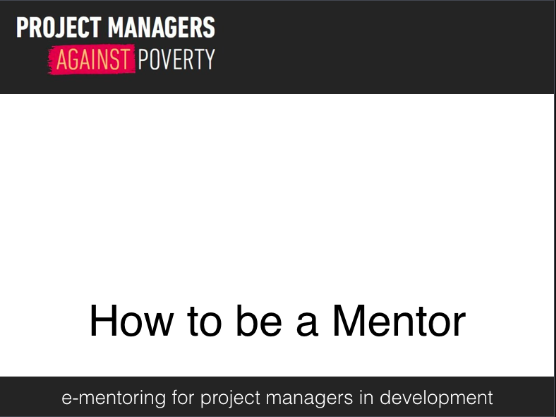 Project Managers Against Poverty has partnered with Humentum (Lingos) and MentorNet to provide this service at no cost to users. All our mentors are volunteers. The scheme is for people working in international development or the third sector/civil society. 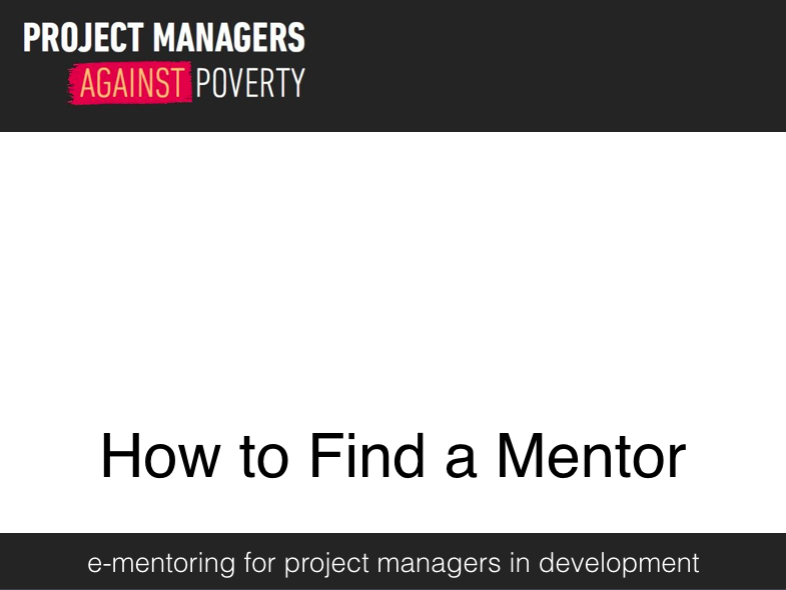 To qualify as a mentor, you should be an experienced project manager. It would also be desirable, although not essential, for you to have experience of managing development projects. You do not need to have mentored people before. You should possess good communication skills, have a commitment to learning and development and able to devote sufficient time and energy to the role. All our mentors are volunteers. This service is provided at no cost to users.